The KK530 chrome stand is compatible with any coin-operated Koffee Karousel. 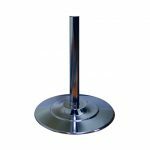 The 2″ diameter heavy-duty pipe stand allows the Koffee Karousel to be located essentially anywhere you desire. It comes complete with mounting hardware that attaches to the pre-existing holes in the base of your Koffee Karousel. 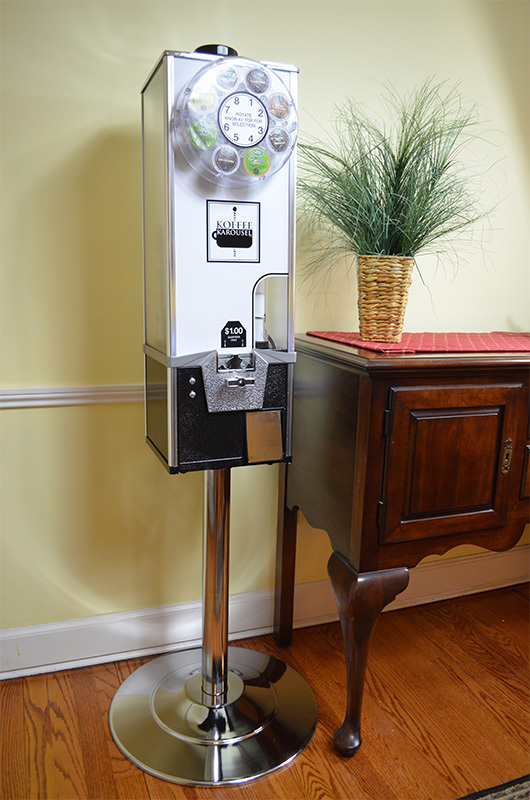 The stand is 26″ tall which positions your vending machine at a level that is ideal for operation. 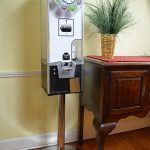 Turn your Koffee Karousel into a standalone unit to save counterspace. *Please note this is the chrome stand only. Koffee Karousel unit is sold seperately.